COLLEGE STATION, TX (KTRK) -- Half a dozen fraternity members have warrants out for their arrests in connection with a drug investigation after a Texas A&M student died just before classes began this fall. Anton Gridnev, 19, was found unresponsive at the Sigma Nu house in College Station on Saturday, August 20. He died of an apparent drug overdose. At the time of his death, four students were arrested at the frat house for possession of marijuana and another controlled substance. Now College Station police narcotics investigators obtained 16 additional warrants for six Sigma Nu fraternity members who attended the party the night of Gridnev's death. All six men were residents of the Sigma Nu fraternity house at the time of the incident. The warrants range from Possession of Marijuana to Manufacture and Delivery of a Controlled Substance. Investigators are currently working to get these men into custody. Their names will not be released until they are arrested. 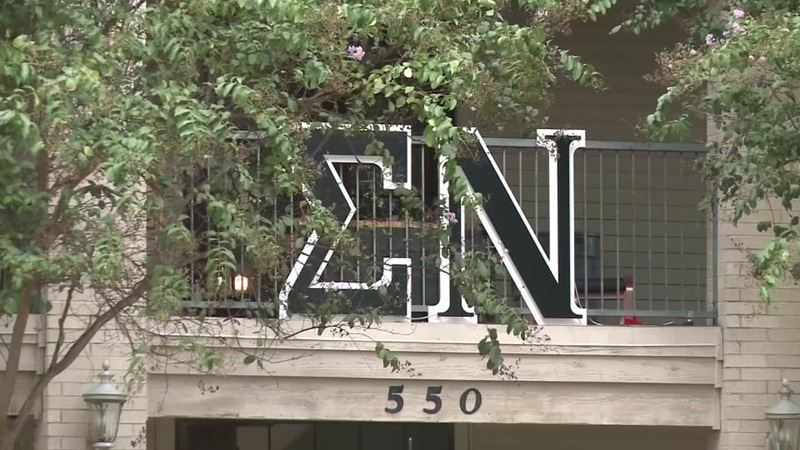 Since Gridnev's death, Sigma Nu Fraternity has suspended all activities of the Kappa Sigma Chapter at Texas A&M University. The investigation into the death of Anton Gridnev is still active.